A lot of things can be said about Gordon Hayward’s return to Utah that occurred on Friday night. 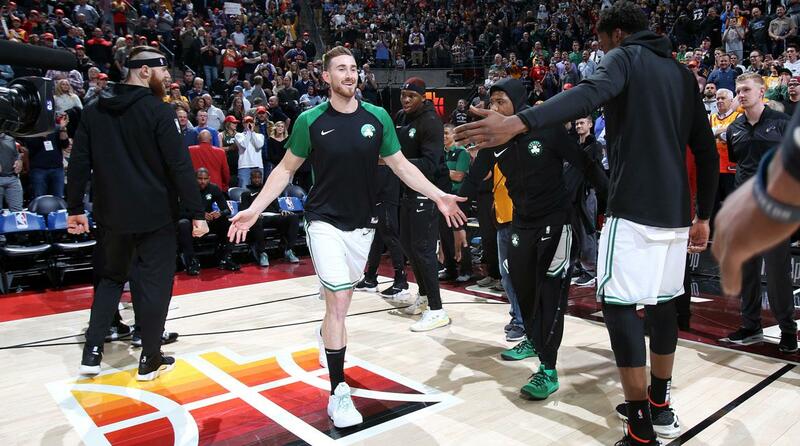 The Boston Celtic said that this was a return full of “dread.” Many said in the build-up that the Jazz shouldn’t really miss him all that much due to all the good that they have going on. But that didn’t stop their fans from booing the ever-loving life out of the man. The crowd berated him from the first chance they got, and in so doing they got only a 13-point performance from the man. While he was doing that, their young stars were showing out. Donovan Mitchell, an MVP candidate last season, scored 21 points, but it was Joe Ingles that had the game of his career. He had the most points he’d ever scored, 27, and also had the most assists he’s had all season (seven) to help lead them to a 123-115 win on their home court. It wasn’t without some drama, with the Celtics coming from 20 behind to just four behind at one stage in the fourth, but without Kyrie Irving (rest) they just didn’t have enough to win. The Jazz are now 6-6, and their coach and all of their fans will be hoping they have turned a corner now. In NFL news, it’s horrible news for Dez Bryant. The former Dallas Cowboys wide receiver had been without a team all season long until the New Orleans Saints picked up days ago due to having a lack of depth at the position. It was looking good for Dez, but now it’s not good at all. The newest Saint, reportedly, has suffered an awful Achilles tear at practice while running a normal route, and that means he will be out for a very long time. That is, if he ever decides to come back to begin with. There will be an MRI to confirm, but it looks to be a formality. Dez’s season just wasn’t meant to be, and there can be few sadder things to say. In college football, two ranked teams were in action on Friday night, and they had varying levels of success. Surprise No. 13 team Syracuse remained on fire with a 54-23 thumping of poor Louisville to remain unbeaten in the Carrier Dome. The Orange were already up 37-7 at halftime, with 30 points coming in the second quarter alone. Moe Neal was impressive, scoring twice and rushing for 159 yards. In the other game, No. 23 Fresno State fell at the hands of Boise State 24-17 on the blue turf. The Bulldogs had led heading into the fourth, but 14 unanswered points in the quarter from the Broncos were enough to win and see their record improve to 8-2 on the season.